Download the programme now to plan your time at the 6th International Conference on Multifunctional, Hybrid and Nanomaterials. Download the full programme here. Programme highlights: 10 expert plenary and keynote speakers, focussed featured talks by more than 35 speakers supplemented by 250 contributed talks and large poster sessions, plus an exhibition will provide a complete update on the latest developments across this interdisciplinary field from all the leading research institutes. Late posters accepted: Abstract submission is still open for poster presentations here. 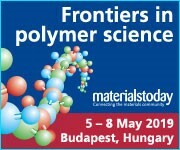 This major conference regularly attracts around 1000 interdisciplinary delegates with a shared interest in hybrid materials and provides excellent networking opportunities. Register now to take part in the 2019 edition.